Social media was quick to point out the error in Wilson's comment. 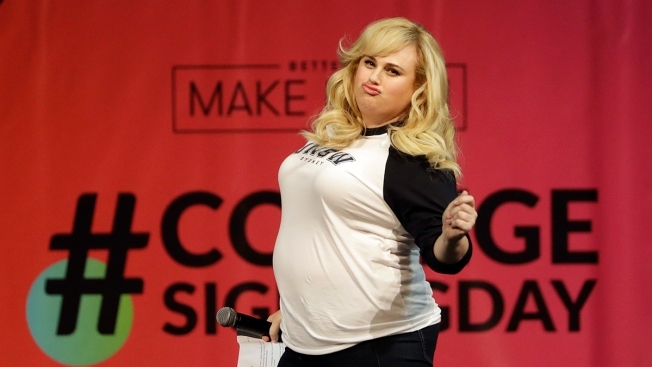 Rebel Wilson, the first plus-sized female star of a rom-com? Not quite. The actress appeared on "The Ellen DeGeneres Show" recently to promote her new movie, "Isn't It Romantic." She told Ellen DeGeneres, "I'm kind of proud to be the first-ever plus-sized girl to be the star of a romantic comedy." The star had appeared in the rom-coms "Just Wright" and "Last Holiday." Other people cited Ricki Lake and Nikki Blonsky, who starred in two versions of "Hairspray." Lake also played the lead female role in the 1989 TV romantic comedy movie "Babycakes." Mo'Nique herself chimed in tweeting directly to Wilson.